The VAF Třeboň (May 1 – 3, 2018, Czech Republic) is the leading pitching event for animated film in the Central and Eastern Europe. As each year, animated projects in development compete in two categories: Short Films (single film less than 20 minutes long) and Series / TV Specials (web and TV series of any format and single films over 20 min.). Within the pitching preparation, the participants will get a unique opportunity for in-depth consultation with experienced film professionals on their story concept, project development, financial plan, market or festival strategy, possible coproduction workflow separation etc. The winners in both categories receive a traditional financial support of EUR 2,000 for further development. 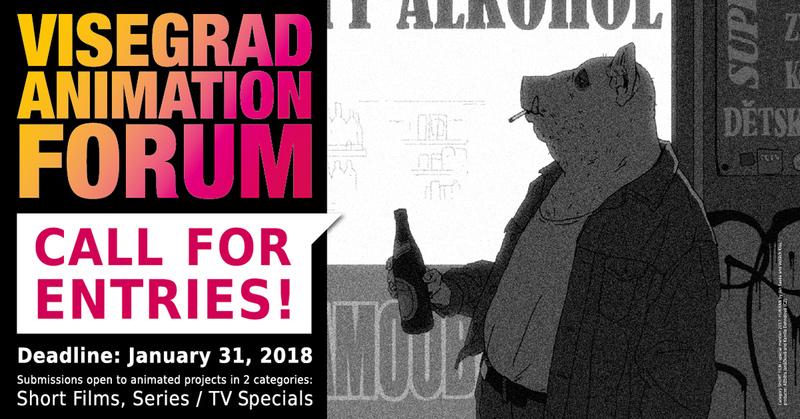 Besides this, the winning TV Series project gains direct access to Cartoon Forum 2018. The collaboration between the VAF and the world respected association CARTOON is extending. For the first time, a pitch for animated feature films will be organized. In this pilot edition, five VAF board members will choose the best project from their country (Czech Republic, Hungary, Poland, Slovakia, and Slovenia). After being pitched to different European distributors, 1:1 meetings with key representatives of the animation industry will be followed. The most promising project shall automatically advance to Cartoon Media (March 7 – 9, 2018, Bordeaux, France). Thanks to the cooperation with the workshop Animation Sans Frontiers (ASF), one selected director or producer will receive a scholarship in amount of EUR 1,000. Tim Leborgne, project leader of ASF will follow the pitches in both categories and choose the winner. The Sound Post-production Award will be also announced. The price worth EUR 1,000 will receive the best short film and will cover the sound postproduction including studio and sound engineer for 5 days. This award is offered by Polish studio of Piotr Kubiak. Submissions will remain open until 31st January 2018. Detailed rules you can find here. SUBMIT you project FOR FREE here. For any questions, please write at submission@visegradanimation.com. The VAF Třeboň 2018 is not only a pitching competition. It is the place where you can meet all the animated film industry not only from CEE. More than 150 film professionals – including producers, broadcasters, festival experts, sales agents, distributors, fund representatives and others – come to discuss visions, financing opportunities or strategies for further development. In addition, there will be a particular emphasis to networking possibilities. The base of the well-functioning animated market is a very good knowledge of the co-production partner. The VAF Třeboň 2018 is held jointly with ANIFILM – International Festival of Animated Film (May 1 – 6, 2018, Czech Republic). It also cooperates with Cartoon Forum and is supported by Creative Europe MEDIA, the Czech State Cinematography Fund and co-financed by state funds and professional organizations from the Czech Republic (ASAF, Association of Czech Animation Film), Hungary (MOME ANIM, Moholy-Nagy University of Art and Design, Budapest ), Poland (SPPA, Polish Animation Producers Association), Slovakia (APAF, Slovak Association of Animated Film Producers) and Slovenia (:D´SAF!, Slovenian Animated Film Association).